GEI Works offers the filter sock as a reliable option for any site looking to control the flow of sediment, silt, and metals into their drain. 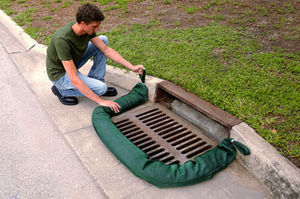 Designed to target and remove site specific pollutants, our sediment filter sock is used as around drains, gutters, ditches and downspouts to filter water as it enters a drain system. 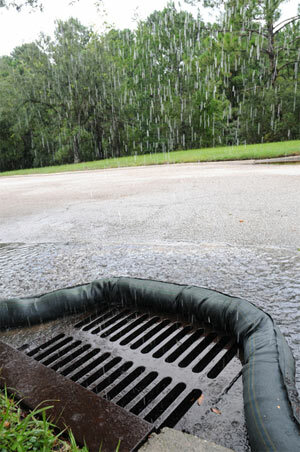 This creates a reliable filtration perimeter that will help guard the drain and prevent unwanted pollution. 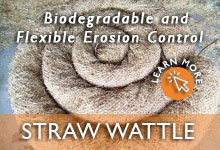 Erosion control socks feature a length of nine feet (9') and use an interior filter designed to target a specific pollutant. Models include options for the removal of carbon, hydrocarbons, sediment, phosphorous, and heavy metals. 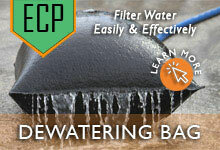 Activated Carbon Chemicals and Hydrocarbons 108" x 7" x 4"
Sorb 44 Oil and Hydrocarbons 108" x 7" x 4"
Sediment Removal Sediment 108" x 7" x 4"
Phos Filter Phosphorous 108" x 7" x 4"
Heavy Metal Removal Zinc, Lead, Copper, and Heavy Metals 108" x 7" x 4"
Questions about the sediment filter sock? We can help! 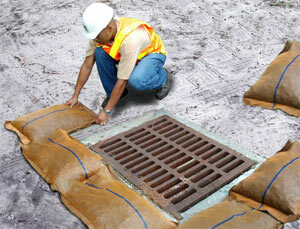 Call the GEI Works team at 1-772-646-0597 or fill out our quote request form to discuss your requirements.